Rob McElhenney is used to things being Always Sunny, but he's just thrown his latest project into some inclement weather. According to The Wrap, McElhenney has dropped out as the director and co-writer of Warner Bros.' Minecraft film, a planned adaptation of the massively successful sandbox video game created by Swedish programmer Markus "Notch" Persson and subsequently developed through Persson's publisher Mojang AB. Due to McElhenney's exit, the Minecraft movie has lost its release date as well. The film was lined up to launch on May 25, 2019, the same month that Avengers 4 will drop, but the It's Always Sunny in Philadelphia actor confirmed "that is not happening." Warner Bros. has selected Aaron and Adam Nee, who wrote and directed The Last Romantic and Band of Robbers, to pen a new script for the film. Wonder Woman writer Jason Fuchs was responsible for the first draft of the script, which he wrote with McElhenney. The Lego Movie producer Roy Lee is still attached to produce Minecraft. We don't yet have word on who might replace McElhenney as director. Even before Microsoft acquired Mojang and Minecraft for $2.5 billion in 2014, Mojang was fielding inquiries about potential Minecraft adaptations. In 2012, Mojang's chief executive officer Carl Manneh noted that the company would only agree to develop Minecraft content outside the gaming world "if the right idea comes along." He added, "We've been approached by a number of high-profile Hollywood producers and asked to do TV shows. We may do that … If the right idea comes along and the right people that we'd want to work with, we'd say why not?" Warner Bros. emerged as the right company with the right idea in February of 2014, when Deadline confirmed the studio's plans to bring the virtual world-building game to the big screen. 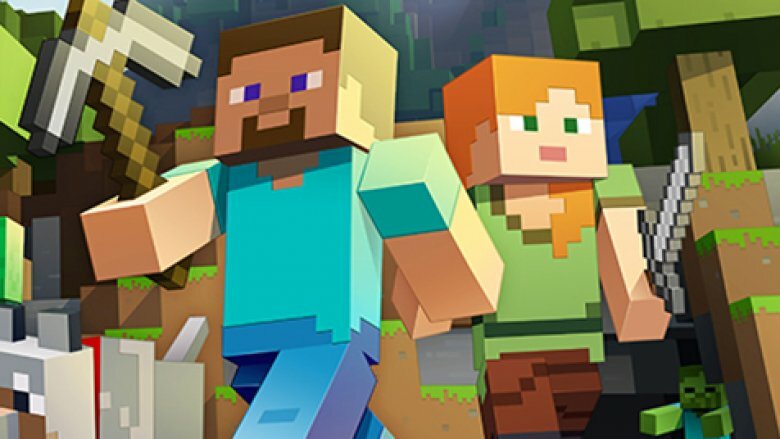 Eight months later, just a month after Microsoft announced its acquisition deal, it was reported that the Minecraft movie had entered its "early days of development." On July 21, 2015, Mojang announced that McElhenney was set to direct the Minecraft movie. In February of 2016, producer Lee revealed that Minecraft will be "part of a multiverse where humans can enter that has the feel of what the live action version of a Minecraft experience." And nine months later, we learned that The Office alum Steve Carrell was in talks to star in the film. It's sad to hear that a project started nearly four years ago, one that has had its director on board for over three years, has hit such a major block (every pun intended) in the road to release. The upside to the disappointing news of McElhenney's double departure, however, is that the Nee Brothers seem more than qualified to take over his writing duties. If Sony Pictures and Mattel can trust them with directing Masters of the Universe, written and at one point meant to be directed by The Dark Knight trilogy scribe David S. Goyer, Warner Bros. can sleep easy that the Nees won't drop the ball with Minecraft's newest script. While we wait to learn who will direct Minecraft, let's hope the project doesn't get stuck in development hell or turn into a video game movie that never sees the light of day.